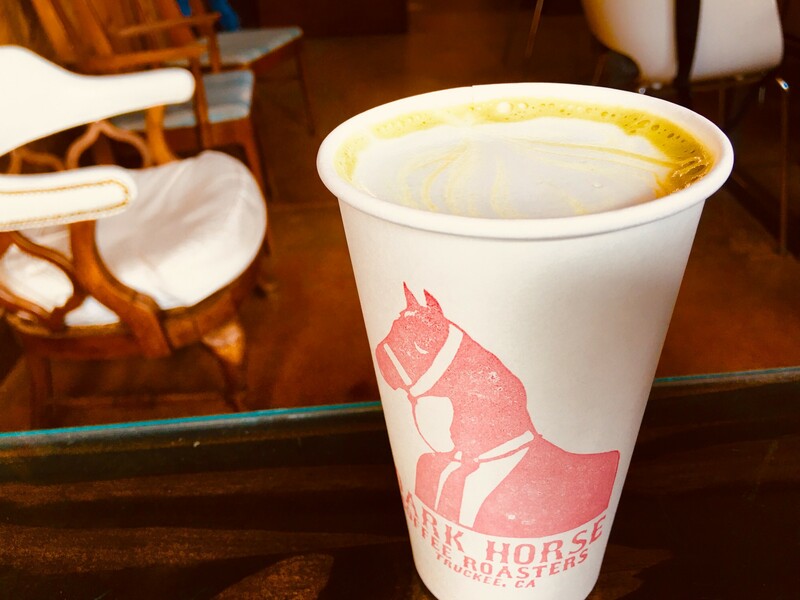 Matcha Almond Milk Latte with Chai spices – very hipster barista offered with such pride. 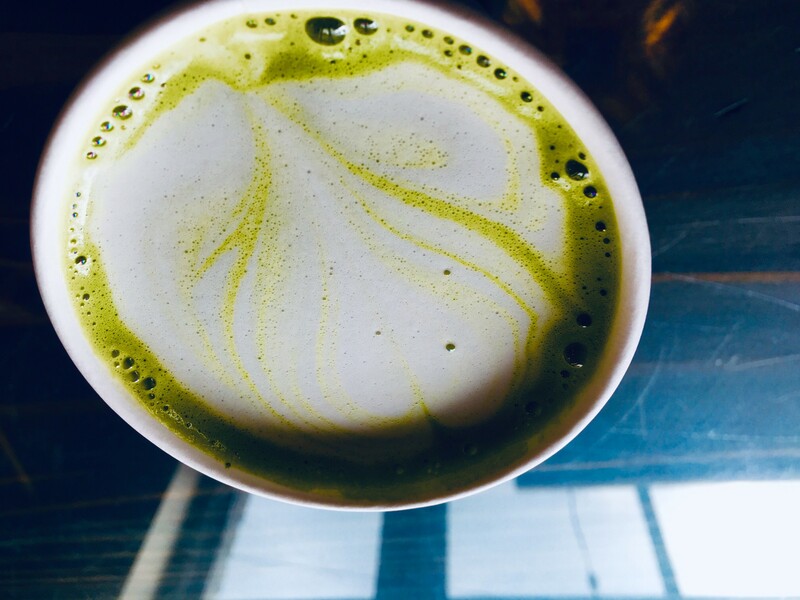 A departure from the Matcha idea in Japan – after all – we are in USA A stop over returning to the Bay Area – so much driving looms ahead – definitely need to yoga tonight. Will be seeking that healing from – Stiff shoulders and neck; achy lower back; tired eyes; tight sore hips; sore cranky legs … a remedy to sleep better. Yoga works. PURE INGREDIENTS ! 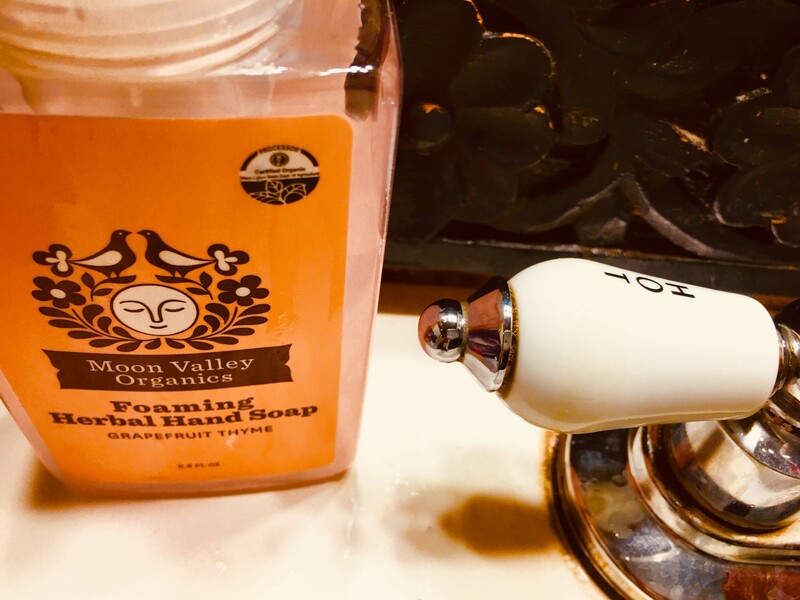 Organic Safflower Oil, Organic Beeswax, Organic Safflower Herb, Orange Essential oil, Organic Cayenne, Organic Ginger, Organic Lobelia, Organic Arnica, Organic Tapioca Starch, Organic Habanero, Organic Clove oil, and Natural vitamin E made from sunflowers. That’s it. 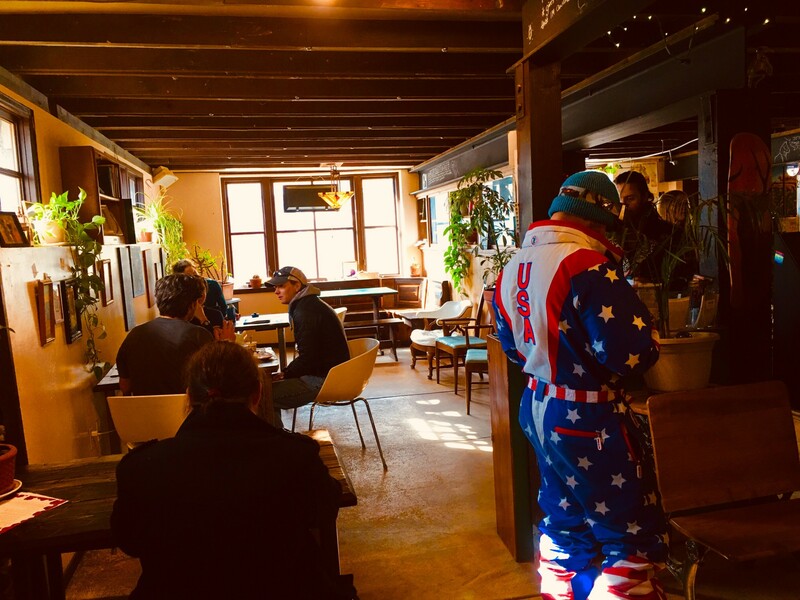 Yes, it’s USA here – a snowboarders, skiers and locals getting their Java – Stars & Stripes – so bright in this dim lit hole in the wall. 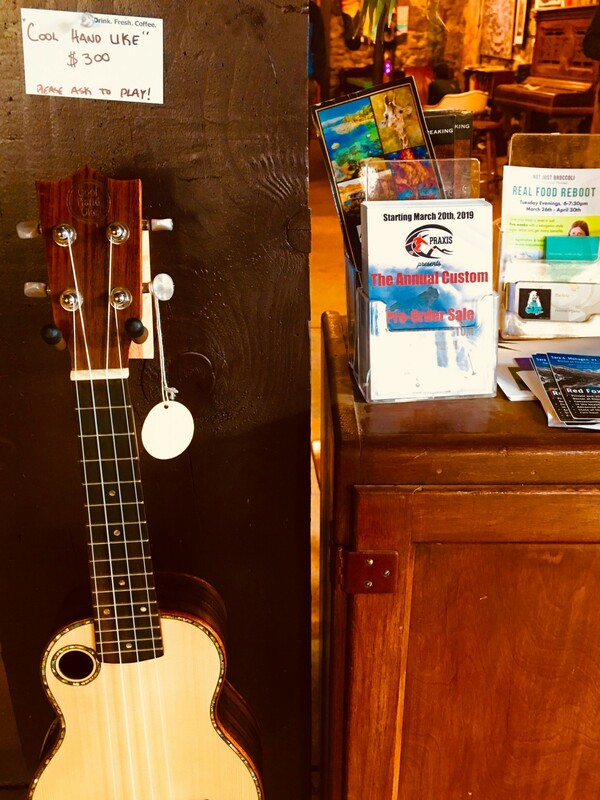 This entry was posted in Anything Cute, Beautiful People, Beautiful Places, Beautiful Things, Healthy Activities, Healthy Food, Healthy Living by Kay T. Ananda. Bookmark the permalink.